Wavinggirl had a small stool when she was a young girl. 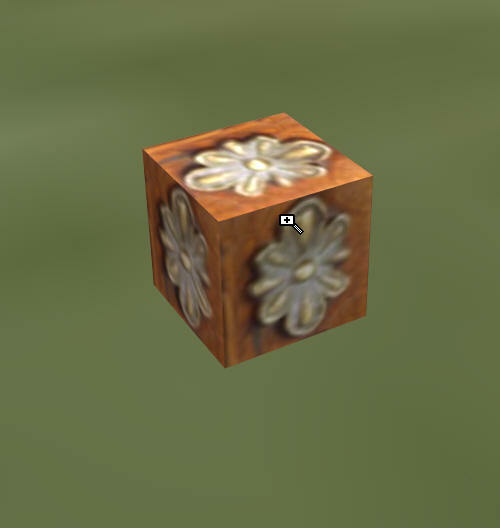 She found a picture of it and asked if it was possible to make a model of it in Second Life. 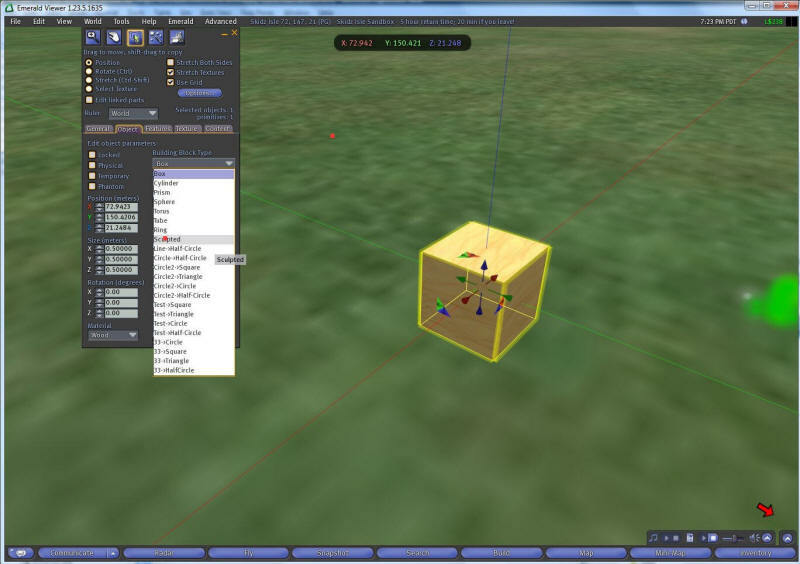 This post shows you how to make the sculpted legs using a very simple to use free tool. As a bonus, I will show you how to make sculpts very smooth, like they have been sandpapered smooth, using another great free tool. 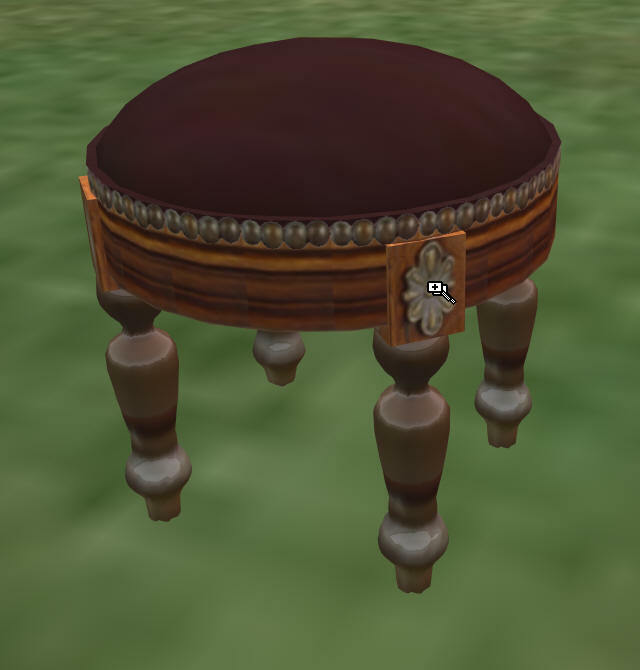 This stool has all of the basic shapes that are standard Second Life shapes, except for the legs. The legs were spun on a wood lathe. 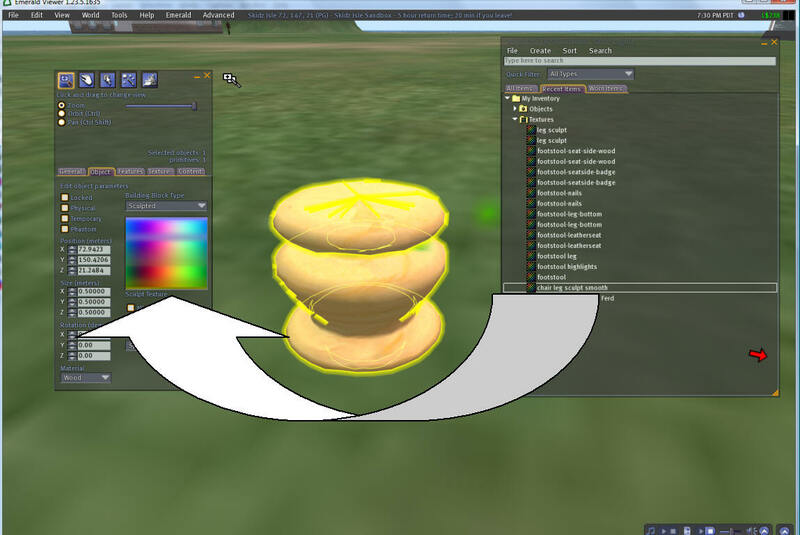 Luckily, there is a great free lathe tool for Second Life. In order to make the sculpted chair legs, you'll need to download Rokuro.zip by Yuzuru Jewell. 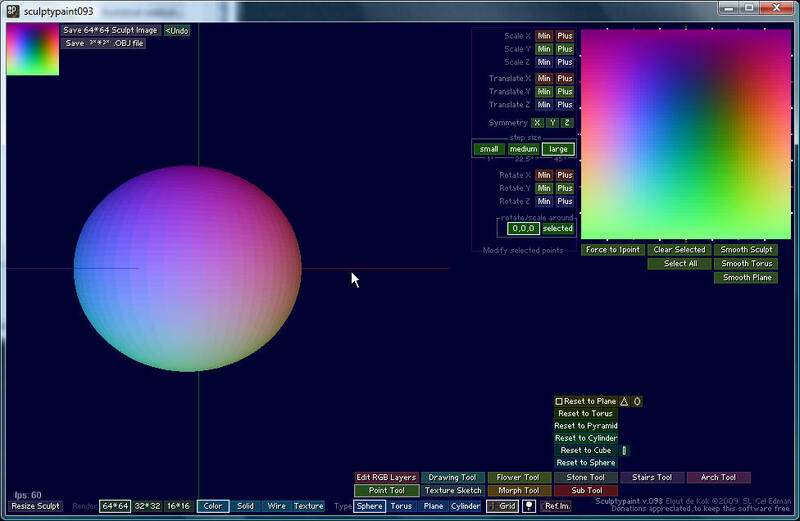 This program makes a Lathed sculpted prim texture in .tga file format . You can just unzip the file onto your desktop and then click the .exe and run it. Getting the exact shape seems like it will be hard. Don't worry, it's easy with Rokuro. You makean image fill the background of the Rokuro editing screen. 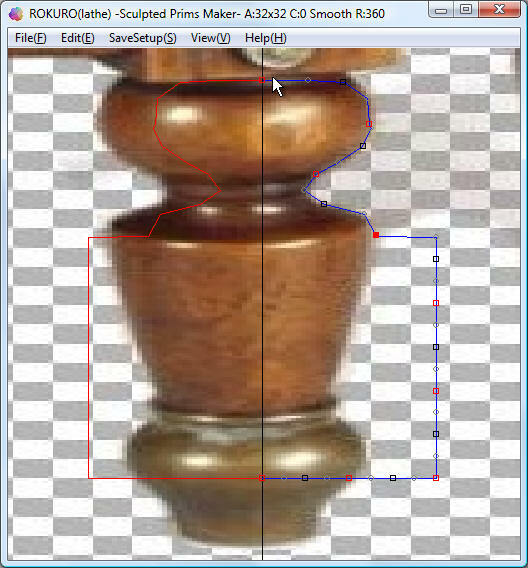 So I started with a larger, zoomed-in view of this stool leg so I could make an accurate model of the leg. I zoomed in to the picture until one leg was filling my screen, and saved it a a JPG file. You now load the JPG image as a backdrop. Click View->Load Background, and select the large leg image. You drag the control points to make each lathe cut. If a Shift-key is pushed and a control point is clicked, two or more control points can be chosen. I then saved the .tga file. Different files sizes can be chosen. 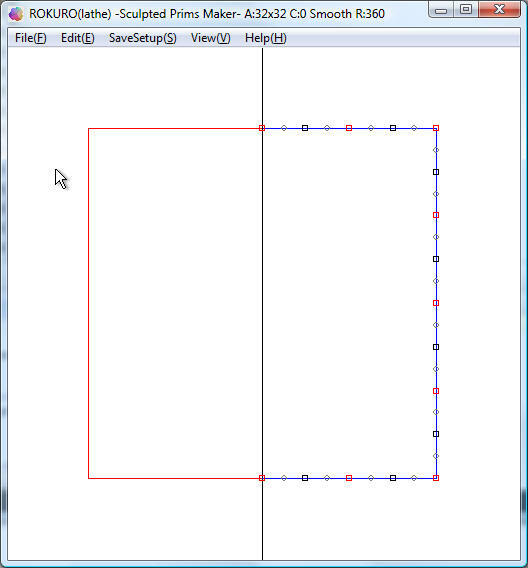 I picked 128 X 128 as this is not a complex object. If you would like to see what the leg looks like before you upload it, you can use SculptyPaint. Download SculptyPaint. No installation is needed. Just save the contents of this zip on your desktop. 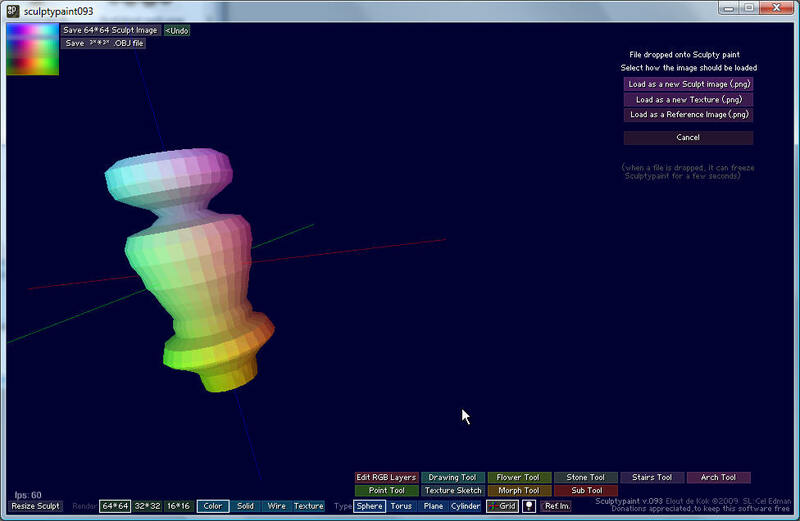 SculptyPaint is a very powerful, complex (and free) program. It has a gadzillion features and an awkward user interface, but we won't care, because we are just going to use it to Preview, Smooth, and Save the sculpt. 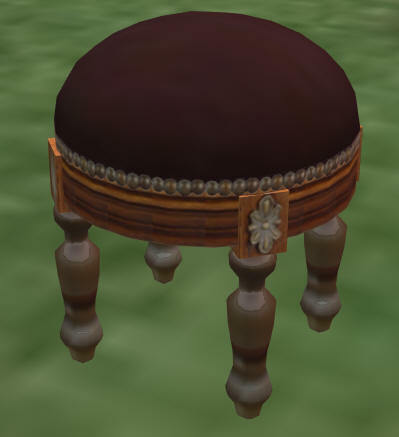 Note how the edges of the sculpted prim leg have sharp corners?Not good for our elegant foot stool. 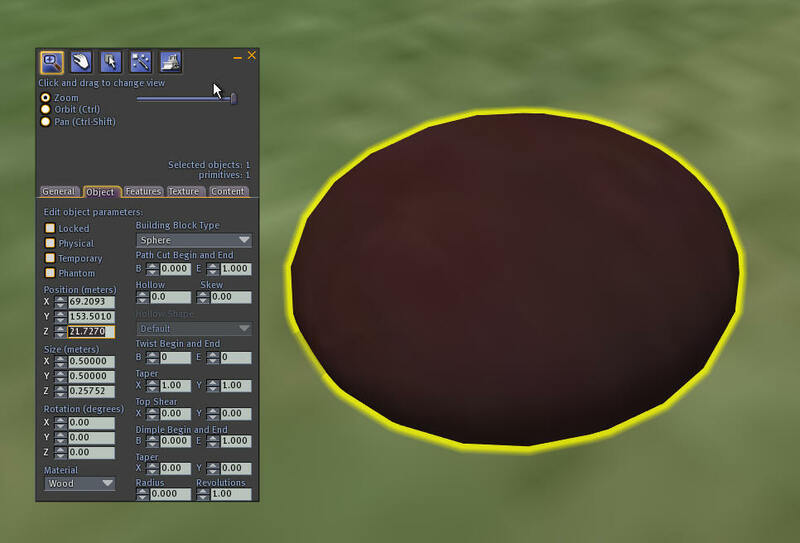 I use SculptyPaint's Smooth function in almost every sculpt I make. In this case, we'll use it to the leg look it has been sandpapered. 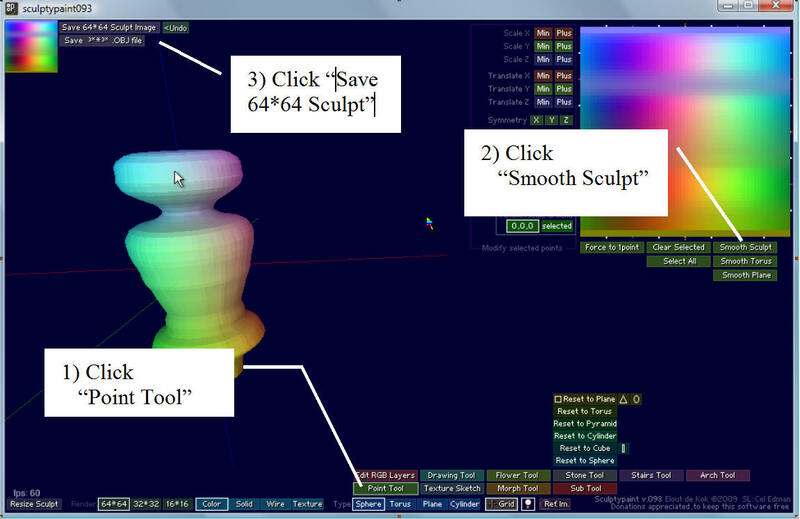 Click the button at the bottom of the screen labeled "Point Tool", then click Smooth Sculpt, then click Save. The saved file can then be uploaded to Second Life. 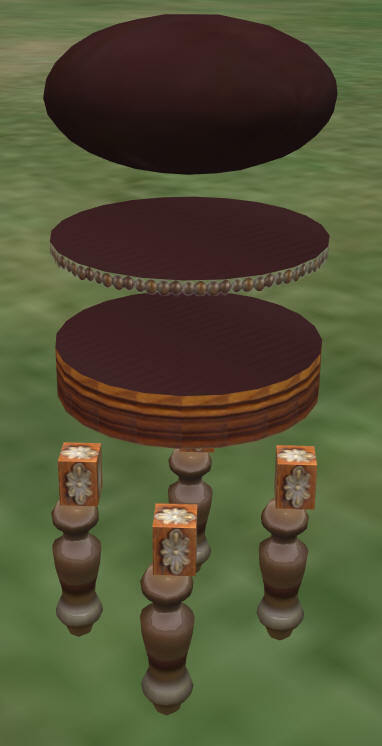 We'll also need the other bits of the small stool as images. I copy and paste them into new files. 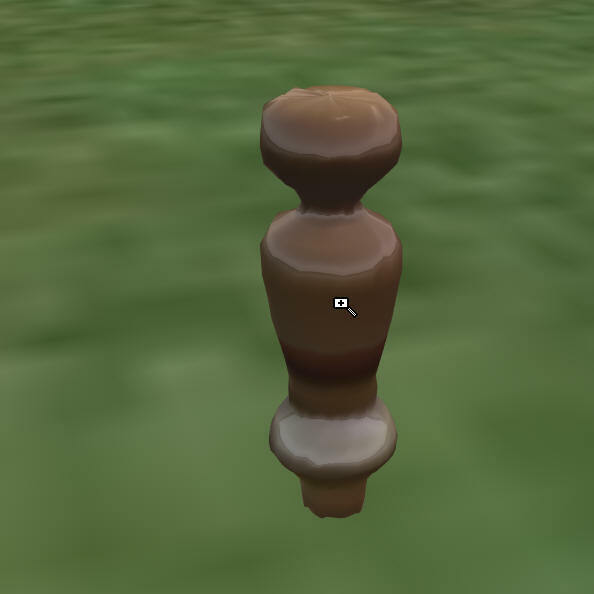 Now that we have all the textures and the sculpted legs, log into Second Life, and upload the textures. I use the batch function to do them all at the same time. 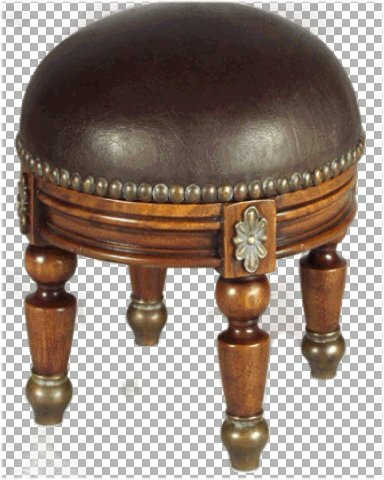 Our step stool will consist of 4 leg sculpts, a round stool with the edge treatment, a thinner round piece with the tacks, 4 4 cubes for the medallions, and a half hemisphere with leather texture for the seat. 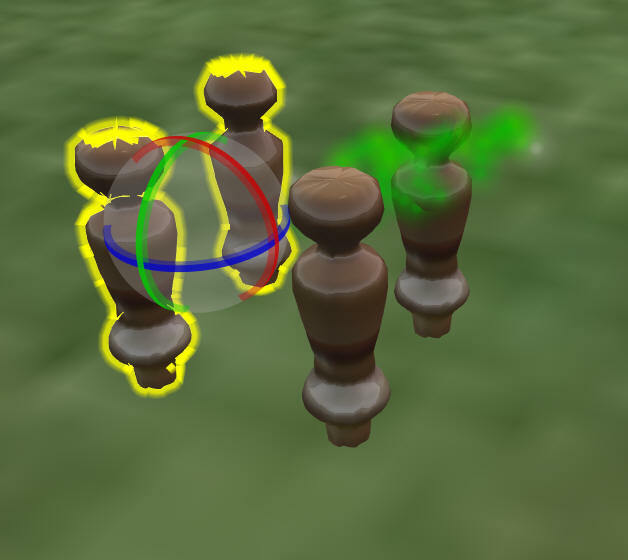 Make the chair legs by creating an object in the edit, and change the type to Sculpted. Now adjust the size of the legs to make them proportional, and add the texture to it. I applied some shine to the texture to give it a smooth and polished look. 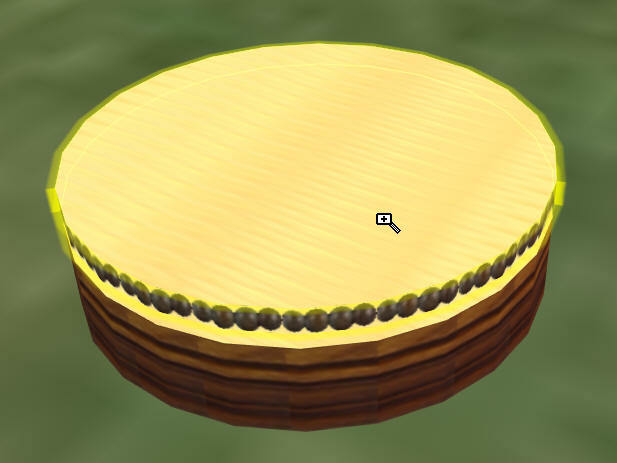 Edge this prim with the wood grain image we got from the original image. Repeat the image about 20 times in the texture tab, and cover all the srufaces. Shift copy the base upwards. 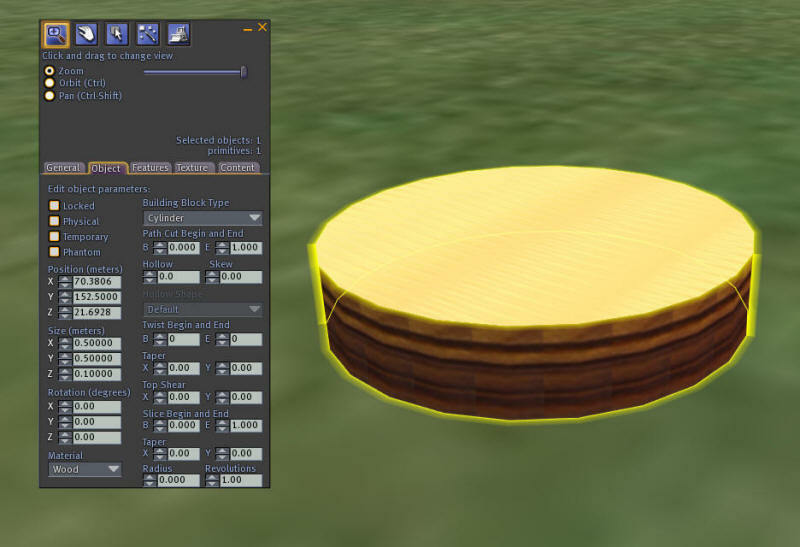 Change the texture to the tack texture. You can repeat this texture 20 times. 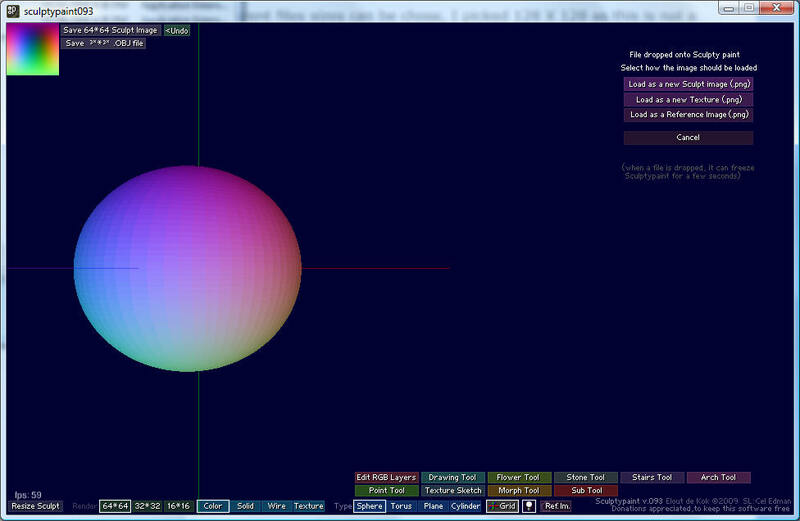 Make another prim, Set to type = Sphere. This should be 0.5 X 0.5 X about 0.3 meters in size. Now all that remains is to assemble them into a completed foot stool. After sliding into a stack, click all pieces, and click the seat last. This step means the root prim will be the seat. This is important, because we always sit on the root prim. 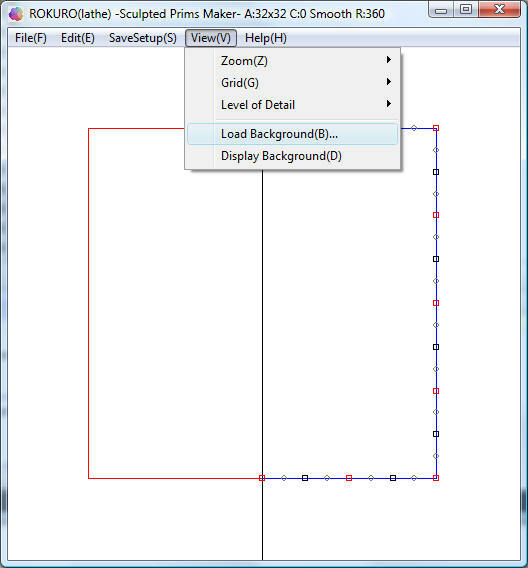 Then press Ctrl-L to link the parts.